Over the last week or so, we’ve seen the unfolding of the latest crisis in the White House, a meeting last summer taken by the president’s son, Donald Trump, Jr., with a Russian who claimed to have information about Democratic presidential nominee Hillary Clinton. Whether you believe there’s anything to the story or not, the “optics” are bad given current ongoing investigations of the Trump campaign’s ties to Russia during last year’s campaign, and the situation was made worse by being mishandled by Trump, Jr. and the White House. Stonewalling and various stories about what that meeting was designed to be, as well as what it ended up being, led to several days of stories in the New York Times and elsewhere while the information trickled out. 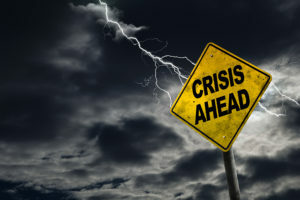 The story may end up being a bombshell or may eventually fade away, but some simple crisis communications tactics would have gone a long way toward making it less damaging. If a bad story comes out about your organization and you’re asked for comment, don’t avoid the reporter. Be available and answer the questions. Refusing to talk will only lead the reporter to dig more, and use other sources that may not have your best interests in mind. This seems simple, but sometimes it isn’t. Essentially, it means don’t lie. There’s a chance that a good reporter will figure out the truth, and then you’ll look even worse. This seems like the same thing as “tell the truth,” and it’s similar. Being forthcoming with a reporter is the best way to keep a story from stretching into multiple stories. Trump, Jr. released the email string that led up to the meeting on Twitter, saying he was being transparent, but it doesn’t really count if you’ve been less than transparent for several days or months before that. One big mistake made by Donald Trump, Jr. (aside from coming up with a variety of explanations before finally telling the whole truth) was that he scooped the New York Times reporter. After several straight days of stories about the meeting, the NYT managed to get a copy of email correspondence that led up to the meeting, proving that Trump, Jr. knew the meeting was at least presented as a way for the Trump campaign to get information on Secretary Clinton. Once the newspaper had its story, Trump, Jr. was called for comment. His representative asked for some time to craft a response. During that “pause,” Trump, Jr. released the email correspondence himself via Twitter. This may seem like a way to diffuse the story, but what it will really do is lead to problems in the future. The next time that publication has a story about him, they may either not bother calling or will insist on comment immediately and without delay. Using crisis communications skills wouldn’t have made a story like this one go away, but they would have gotten the whole story out in the open in one day, rather than giving the impression that the White House and Trump, Jr. were hiding something. The only thing worse than being caught at something is being caught and then being less than honest about it.